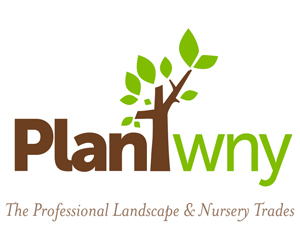 Buffalo-NiagaraGardening.com > Annuals > Grow celery from the stump! 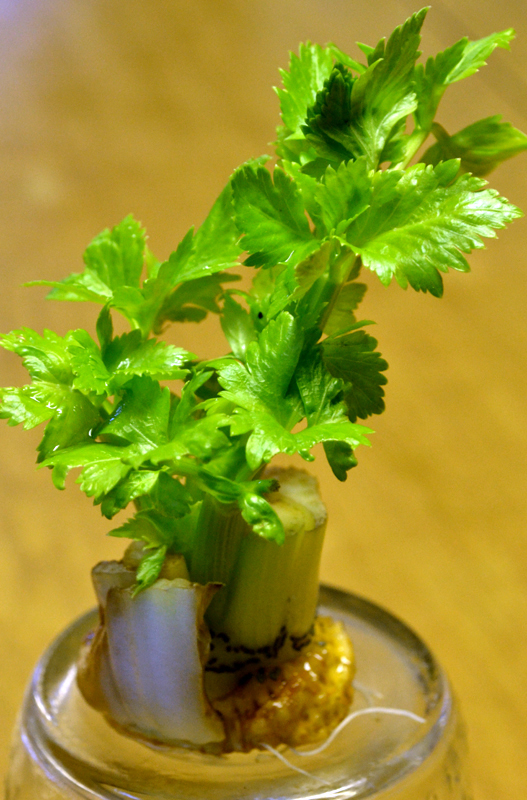 Grow celery from the stump! I saw this idea in several places on Pinterest and I just had to try it. When you’re done with a bunch of celery, you’re left with a stump. I used to toss that stump into the compost pile. Then on Pinterest I saw that you can use it to start a new celery plant. In about 10 days, you’ll see that you have new leaves forming in the center of the stump and short roots popping out the bottom. When the celery got to that stage, I potted it in dirt to see if it would wilt or continue to grow. I don’t have any windows that are very sunny, but I set the potted celery in the sunniest window I’ve got. It’s been there for several weeks and so far so good! It’s a lovely little indoor plant. But now what? Can I transplant it outside outside? Yes, I can move it outside– assuming it does well inside for another three months. 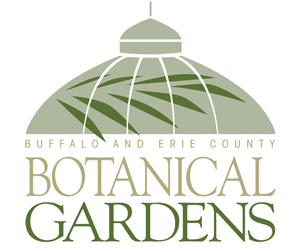 Celery doesn’t tolerate frost, so you can’t plant it outside until late May, according to Fred Safford, who is in charge of trees and shrubs at Lockwood’s Greenhouses, 4484 Clark St., Hamburg. 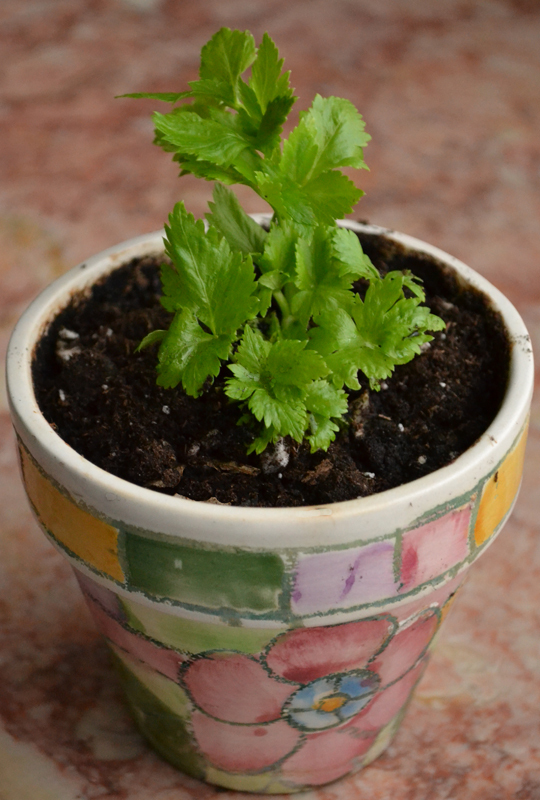 Lockwood’s starts celery plants from seeds and will have celery plants available in mid-May. The celery that you buy in the grocery store is usually from California or Mexico and is a different variety than what we grow around here, said Jill Kisker, grower at Lockwood’s. Locally grown celery is shorter– about a foot tall– and bushier than celery that you find in the store. The leaves are delicious, but the stems might be bitter, she said. Safford loves that strong flavor in soups and sauces, but if you want a milder, less bitter flavor, you can blanch the celery in the field, he said. For a few days before you harvest them, cover your plants with a tarp part of the day to shield them from the sun. The color of the celery will be lighter and the flavor will be milder. Harvest time for celery is usually at the end of summer, perhaps August or September. If you’re starting with a stump, it’s possible than you can harvest earlier, Safford said. I will continue my experiment. I foresee two big challenges. The first challenge is keeping the celery plant healthy inside the house without grow lights until it’s time to transplant it outside. My plan is to keep rooting new celery stumps. I already have one that has rooted and can be potted, and I’m sure I’ll have a lot more celery stumps to root between now and the end of May. Even if the plants I started in February die before I can get them outside, I should end up with at least one plant that is ready at the proper time. The second challenge will be to keep the rabbits from eating the celery. Perhaps I’ll use tomato cages strung with yarn. I’ll keep you posted and let you know how this turns out. If you have tried this or if you have suggestions on optimizing the conditions for celery started from the stump, please leave a comment. I love this idea…perfect timimg. I have to try this. Hey great idea RECYCLE / GO GREEN, Recycling celery. Great idea. can do it with allot of things. Great idea, Connie. I too am going to try it. Loved this post. Keep all the,pineapple tops you have been eating all winter. Grow them like the celery. Saves a fortune on spikes. They make wonderful centers for pots of flowers and window boxes. The vegetable for dinner tonight will be celery sticks! Also the comment on pineapples. They take root like the celery? If u put the in the center of a pot and put flores around them do they eventually take root? They won’t rot? When I buy a pineapple I cut off the pineapple and trim the shoots by pulling away a few whorls of leaves. Then I allow the base to dry for a couple of hours. Take a small glass or cup and put in half an inch of water. You can dip the stem Into rooting powder if you have any. Then put it into the small glass. I put mine on the windowsill in partial sun. Change the warer omce a week to keep ot fresh. Soon you will have roots and a small spike which will grow well outside when the weather is warm. I bring mine in at the end of the season and some are three years old. I might get a pineapple this year. We shall see!! Julie, thanks so much for your response. What great information! We planted celery last year. I was so excited we I saw the celery growing, in the beginning of August I picked a few small pieces they were very tasty . I left the rest there to contuine to grow. At the end of August I harvest the rest of the celery to my surprise I was very disappointed in the taste. It was very woody tasting. Do you have any suggestions? I didn’t plant celery this year but would like to try again next year. Jamie, did the celery get any bigger? Perhaps you left it too long. Even the stuff I buy is sometimes woody if it’s very large.